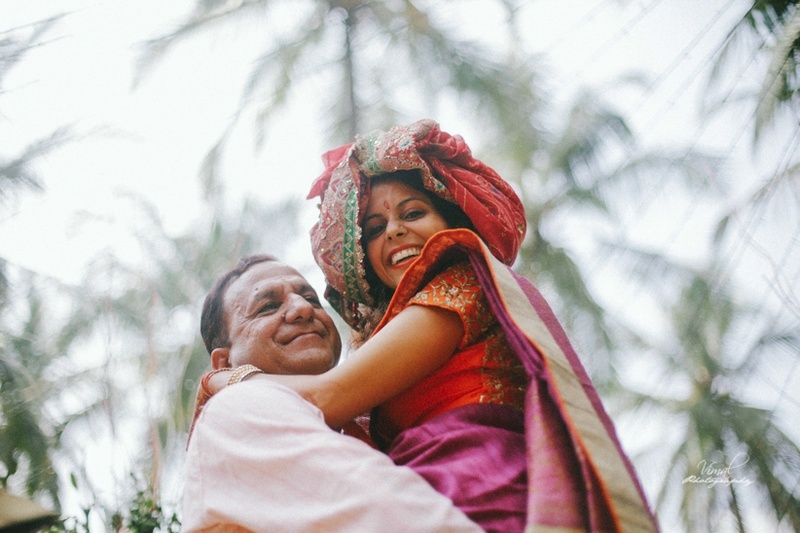 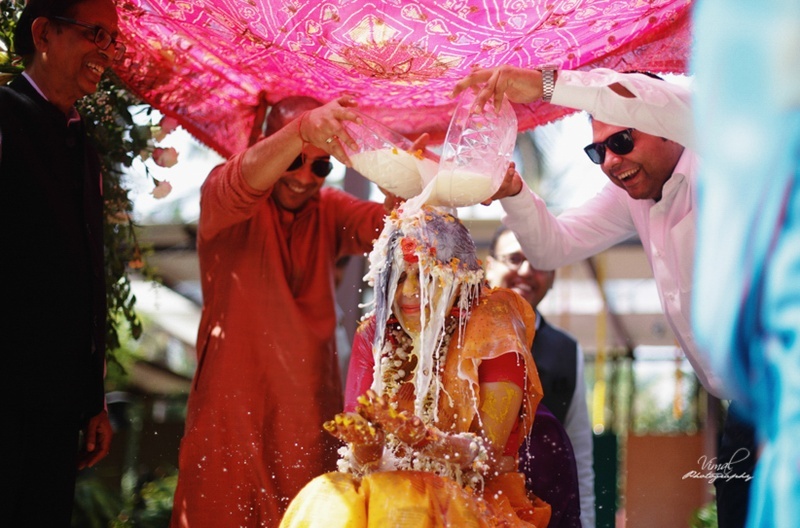 When we set our eyes on this happy bride, Shobhika and this stylish groom Harish - we knew this wedding would be inspirational! 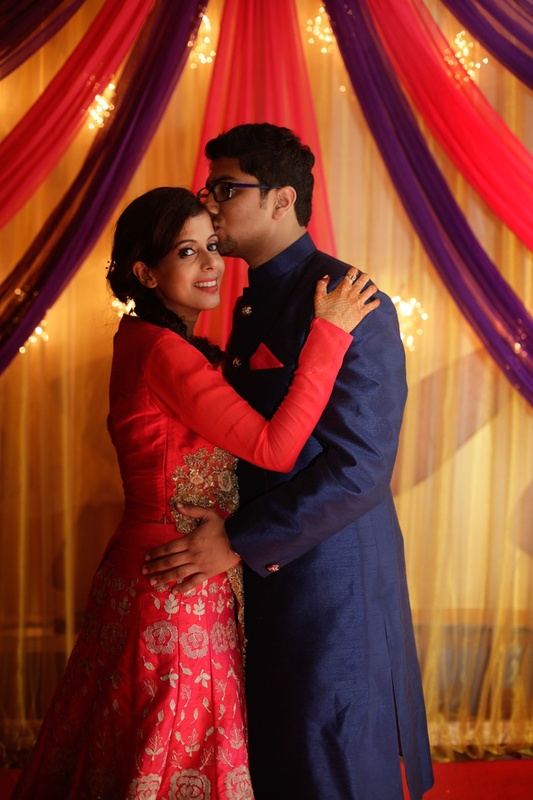 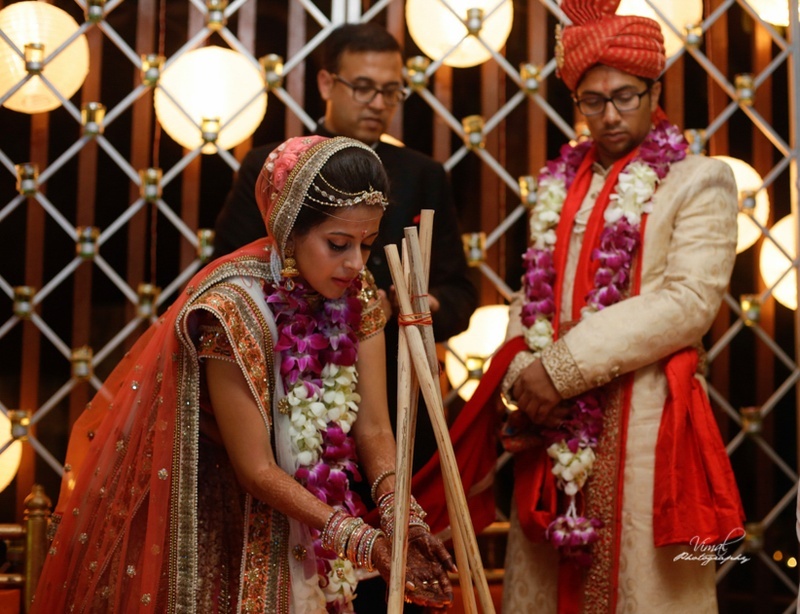 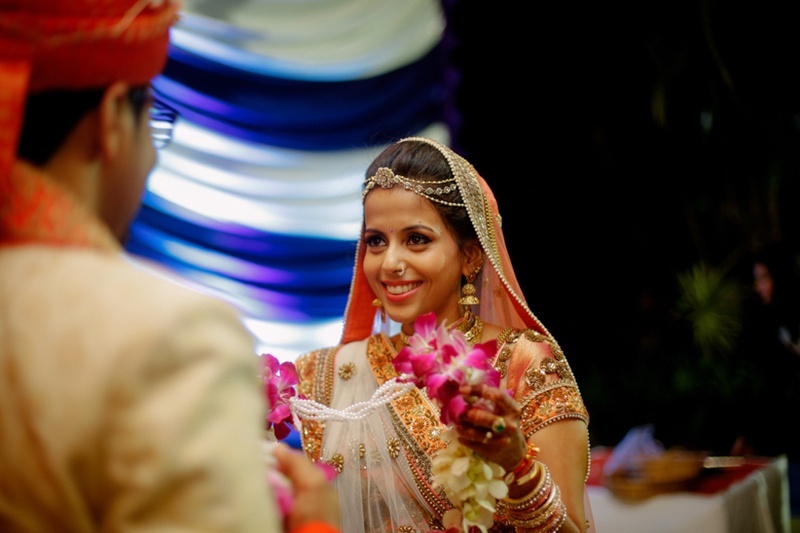 Held at Elements Kanakpura, Bangalore their wedding was all thing traditional with a touch of magic. 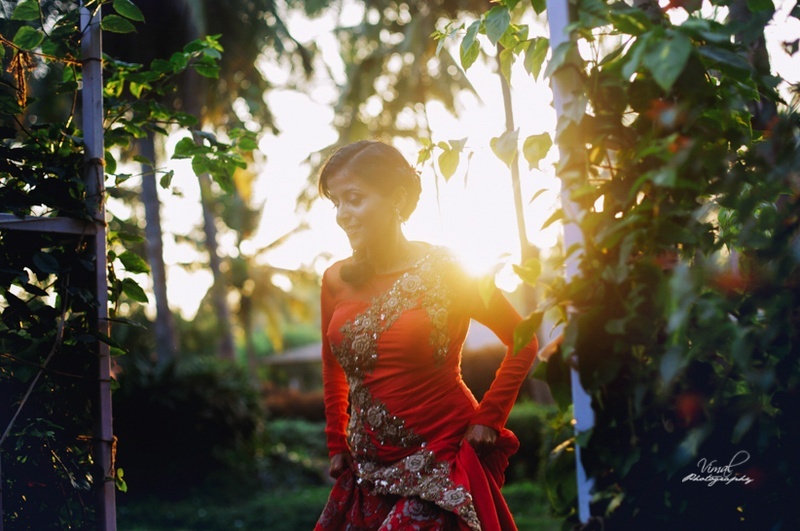 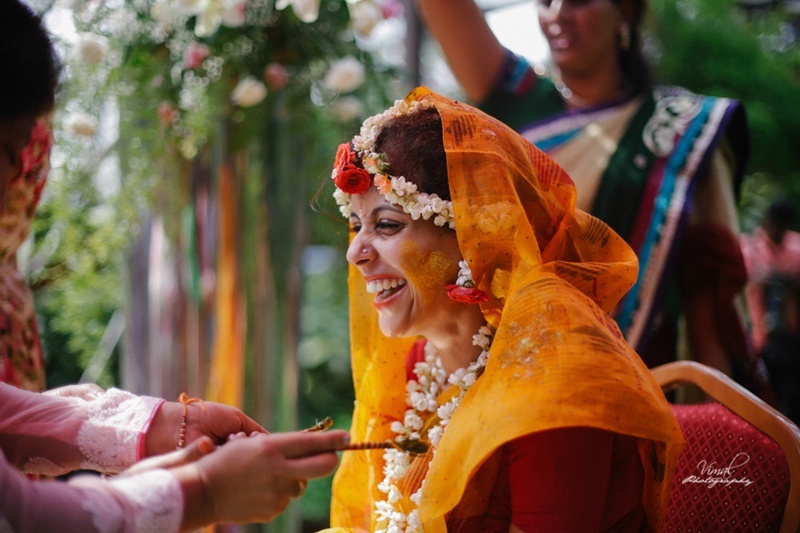 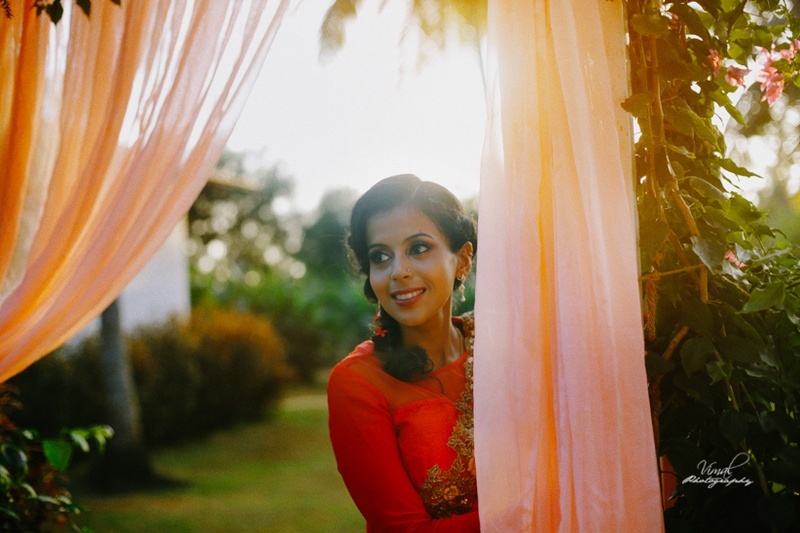 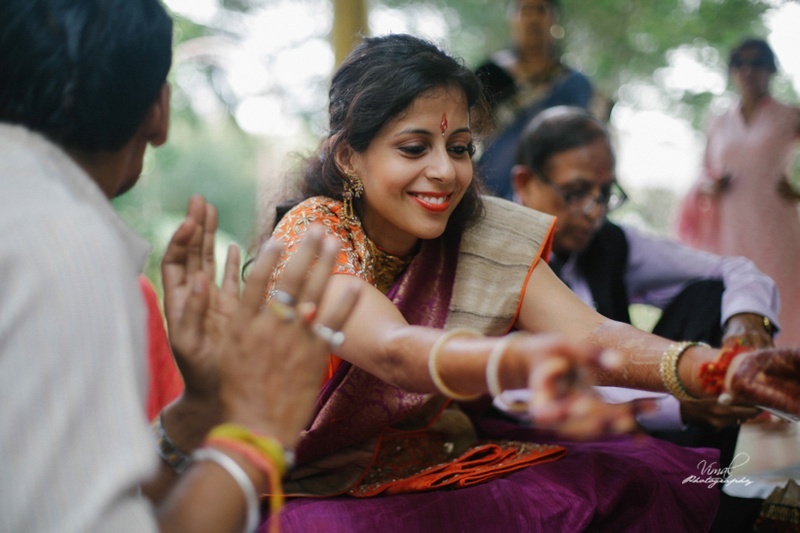 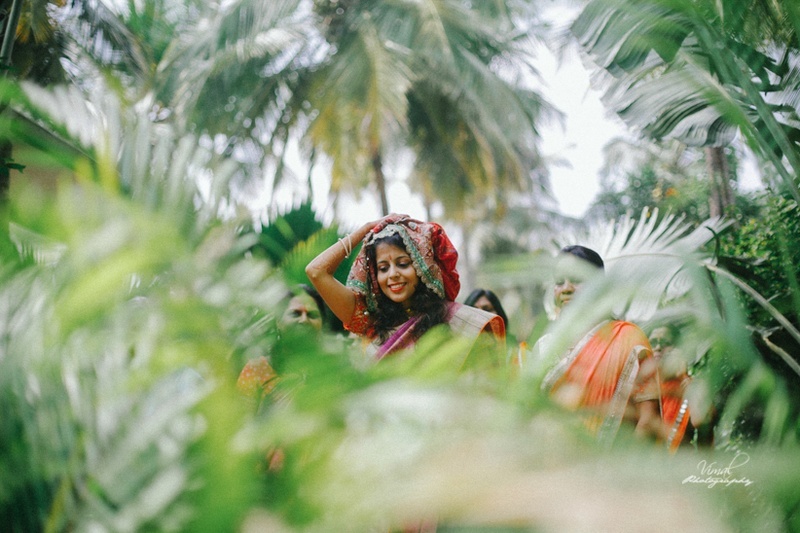 Celebrations began with a haldi and mehndi ceremony where this stunning bride was seen in a crisp cotton saree in hues of red and yellow.What we especially loved about Shobhika and Harish's wedding held at Elements, Kanakpur, Bangalore was their brilliant use of fairy lights. 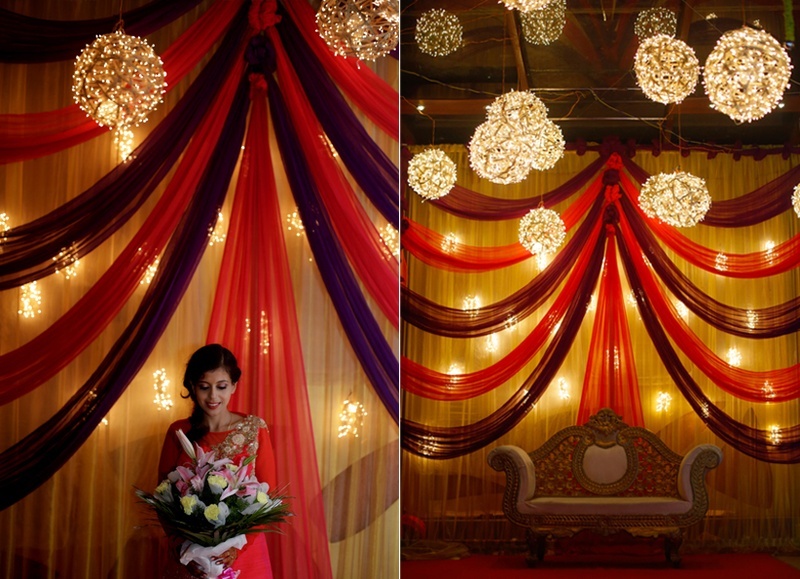 In scalloped curtain style, in round rice-light balls and in a mushroom style drape too. 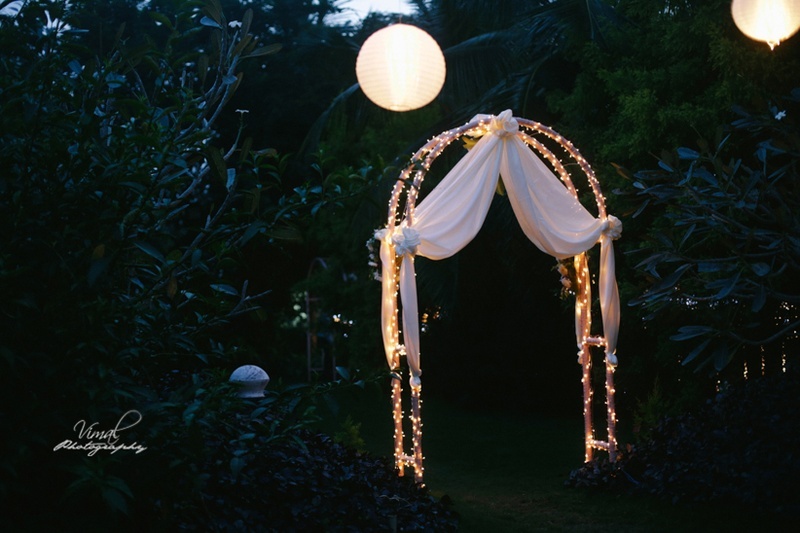 Since theirs was a wedding held after sunset - these lights created a perfectly romantic ambience! 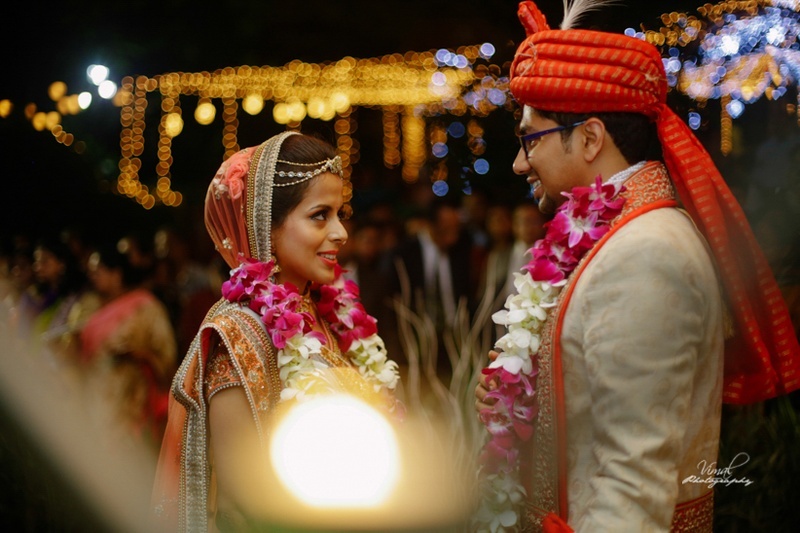 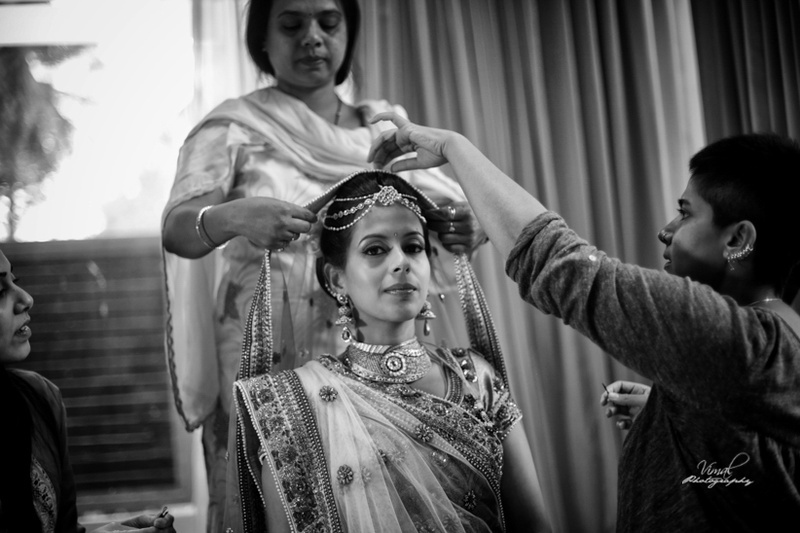 Vimal Chandran Photography along with Kahaani Wedding Films captured this beautiful Hindu wedding in all its elegance. 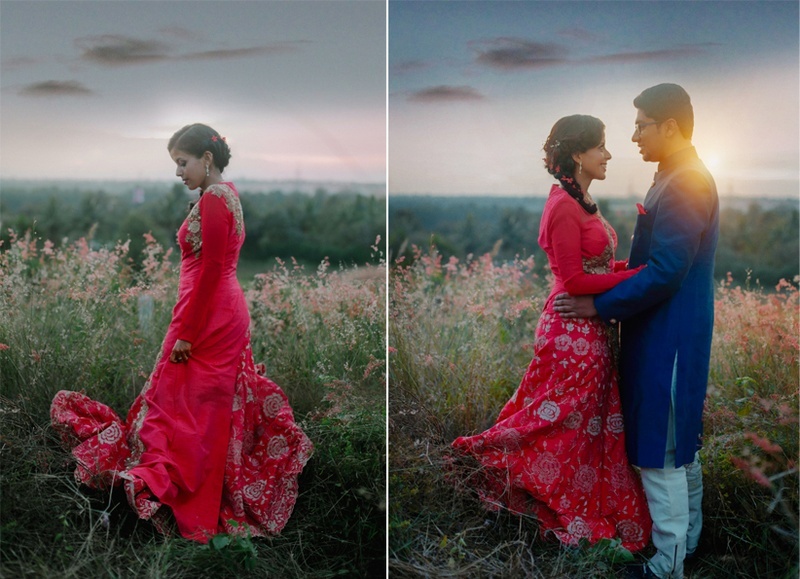 Right from the pre-wedding shoot to the wedding ceremony itself. 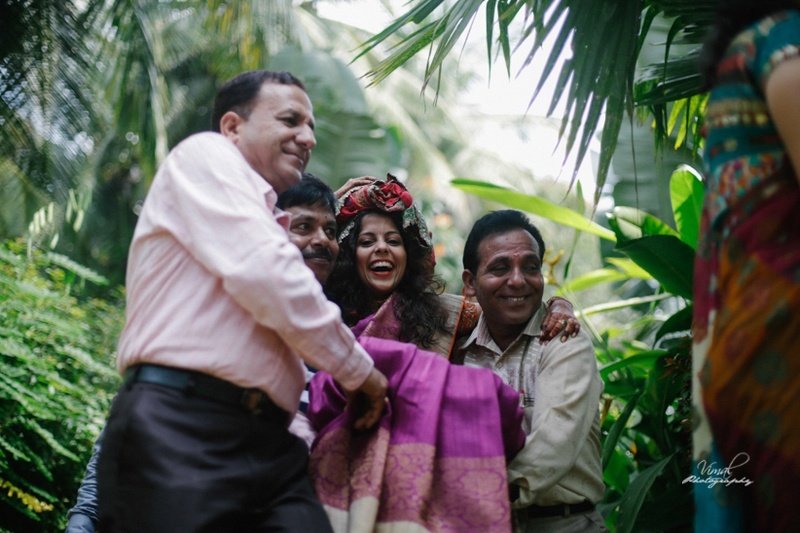 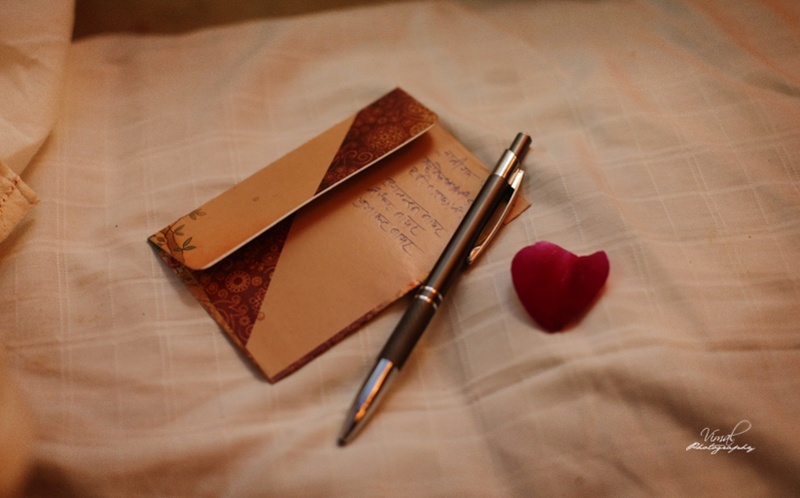 The beginning of Shobhika and Harish's journey was captured in this time capsule for them to cherish forever! 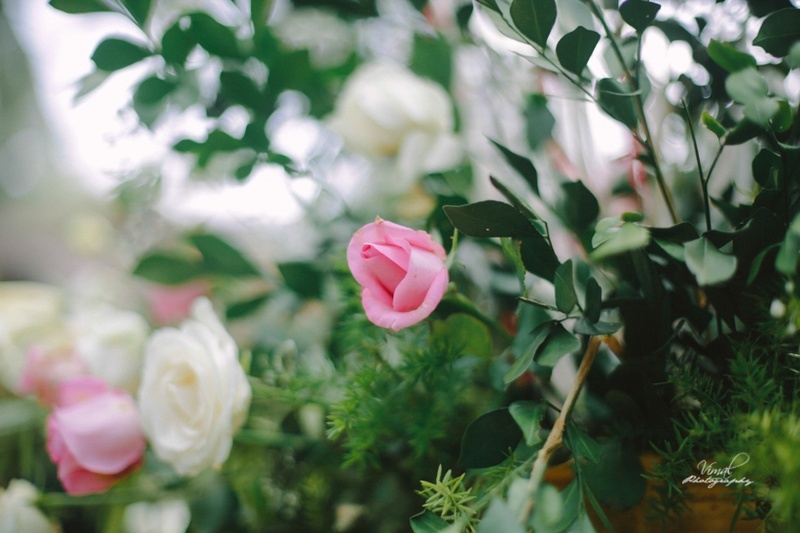 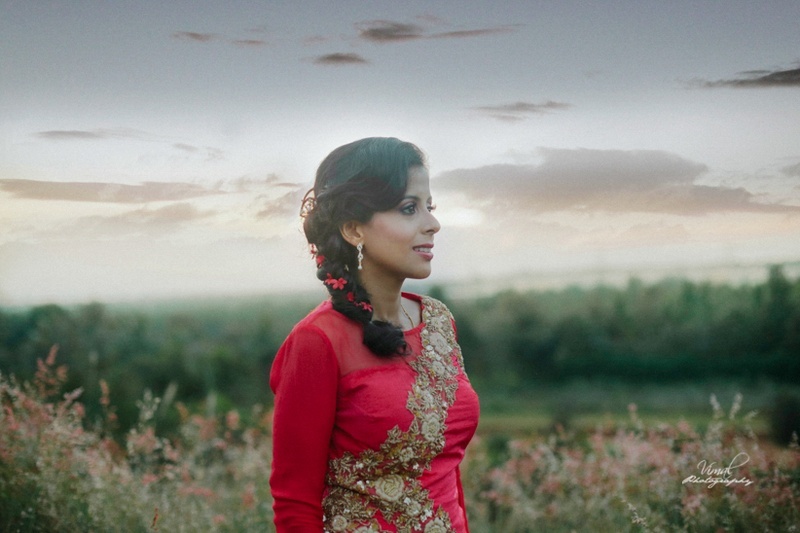 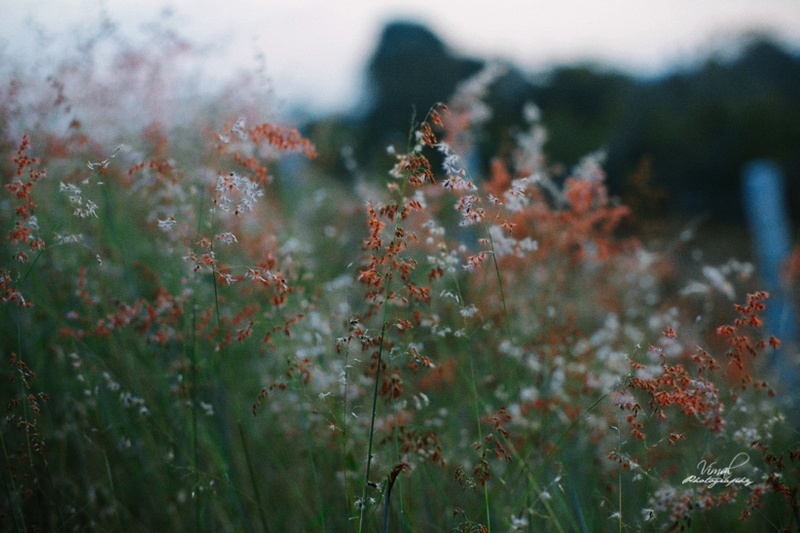 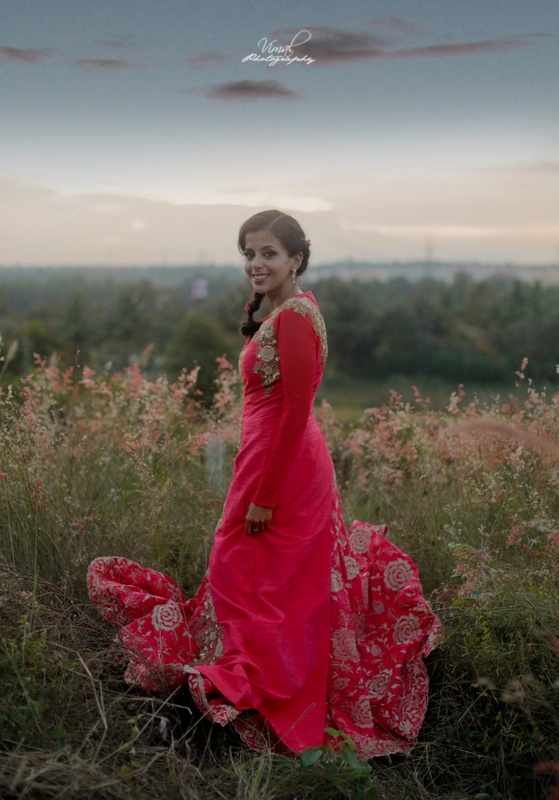 Sobhika and Harish Wedding Film Highlights from Kahaani Wedding Films on Vimeo. 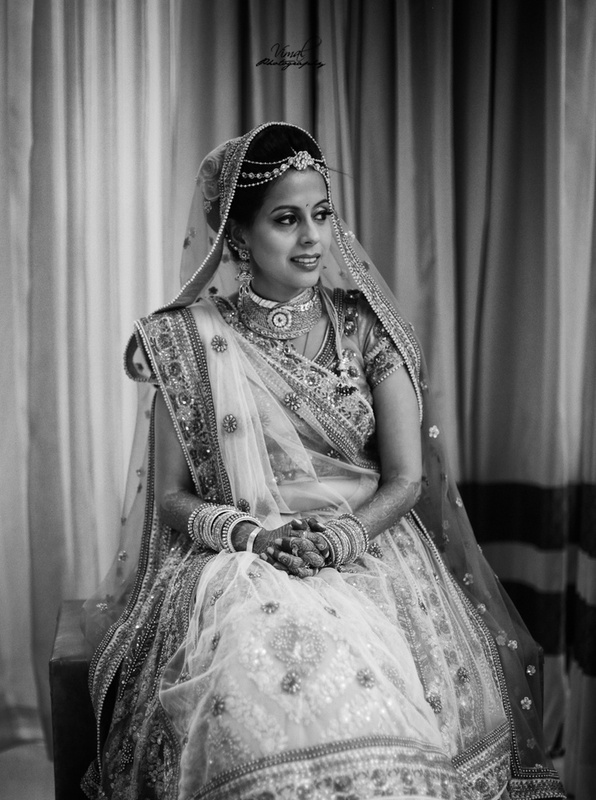 Bride wearing royal blue saree with brocade blouse styled with diamond earrings and a baaju bandh. 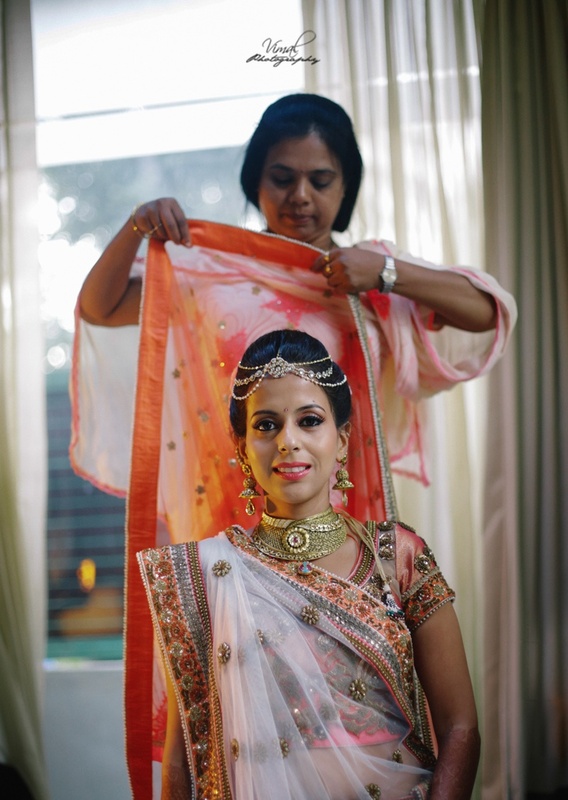 Bride wearing royal blue saree with brocade blouse styled with diamon earrings and a baaju bandh. 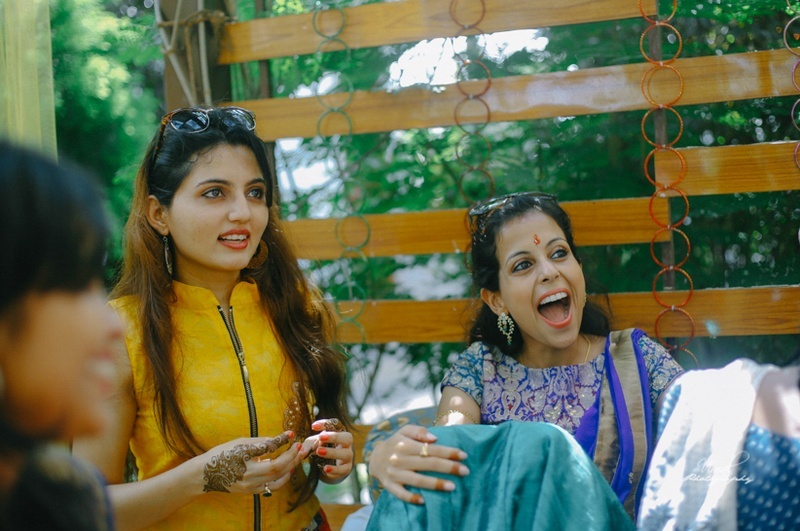 Very beautiful bride wearing yellow saree styled with floral jewellery for her Haldi Ceremony held at Elements, Bangalore. 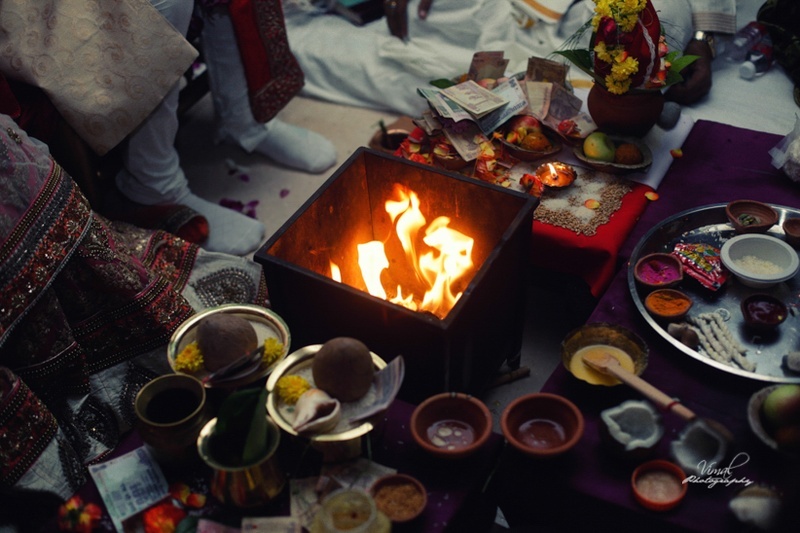 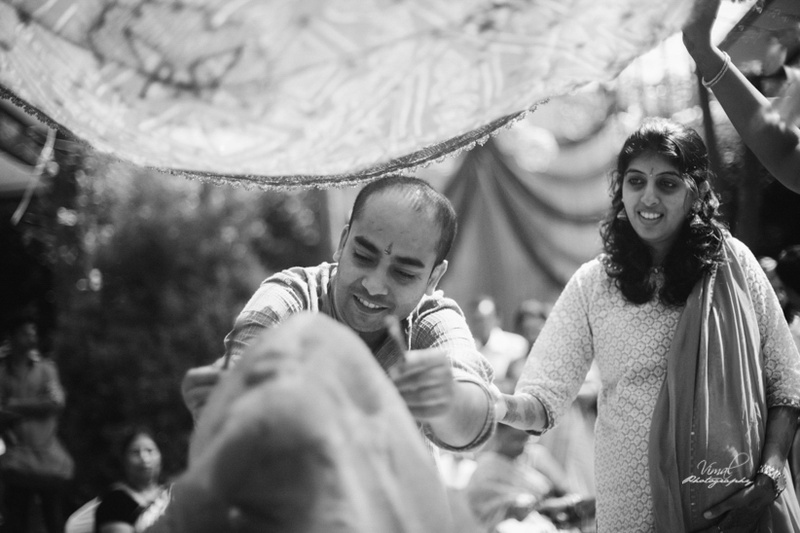 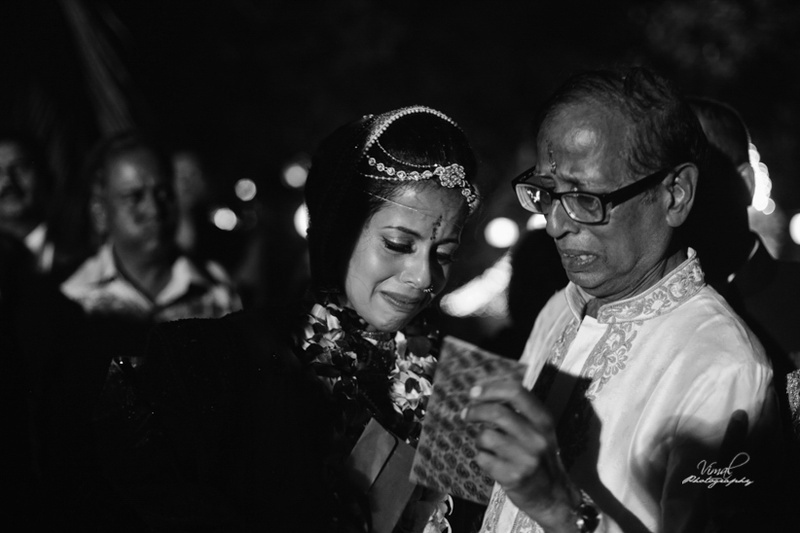 Haldi ceremony black and white photography. 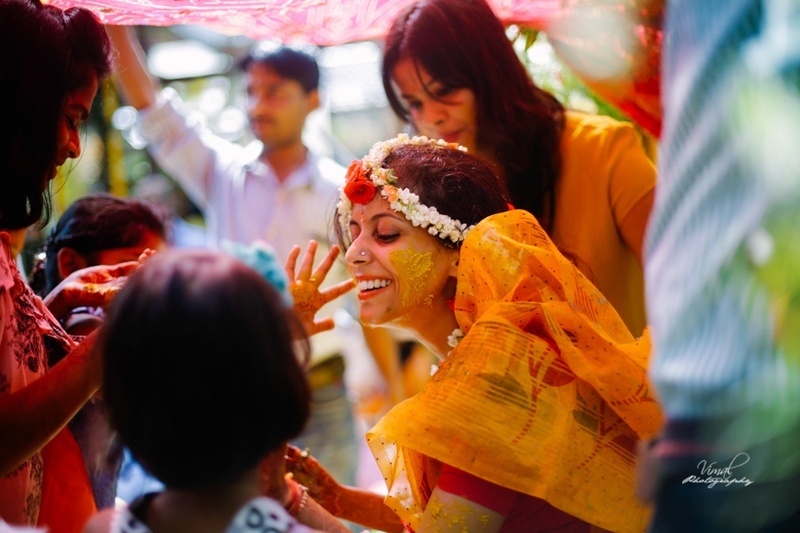 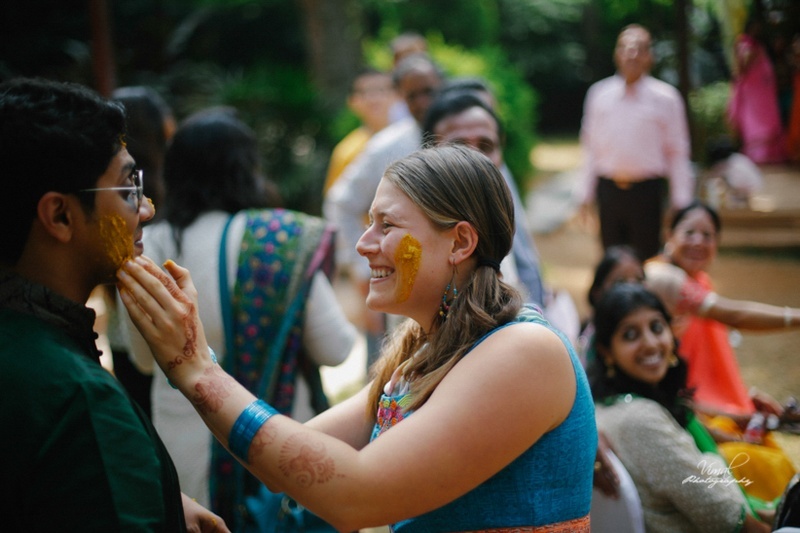 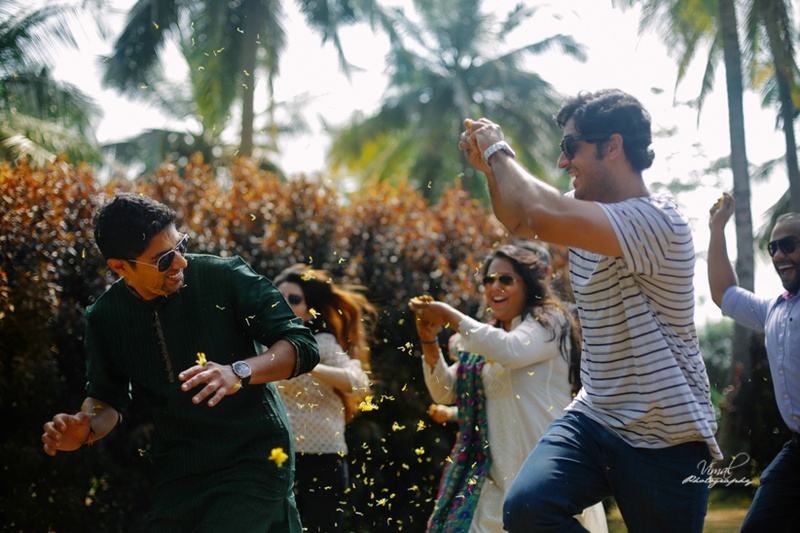 People playing with haldi . 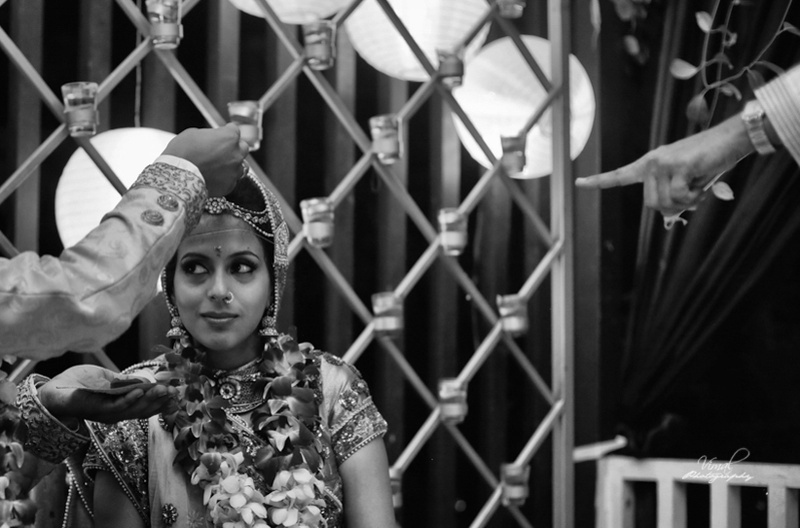 Bride and Groom candid couple black and white photography. 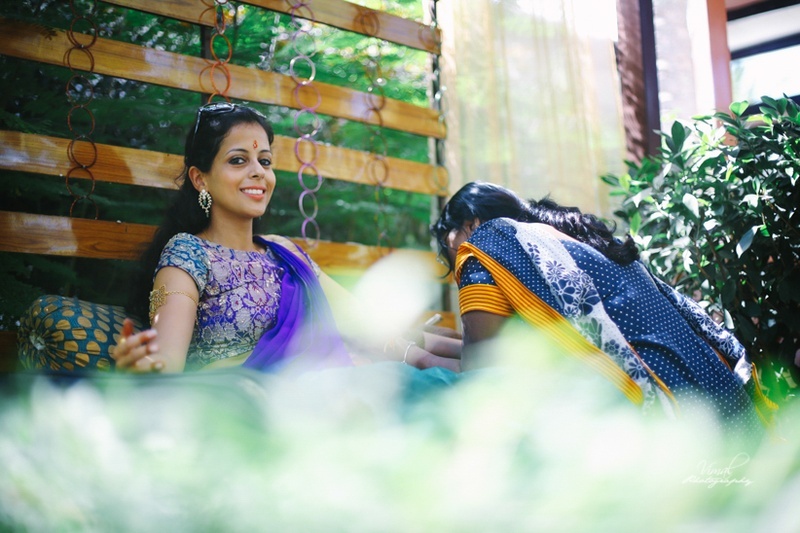 Pre Wedding Bridal Photography by Vimal Chandran. 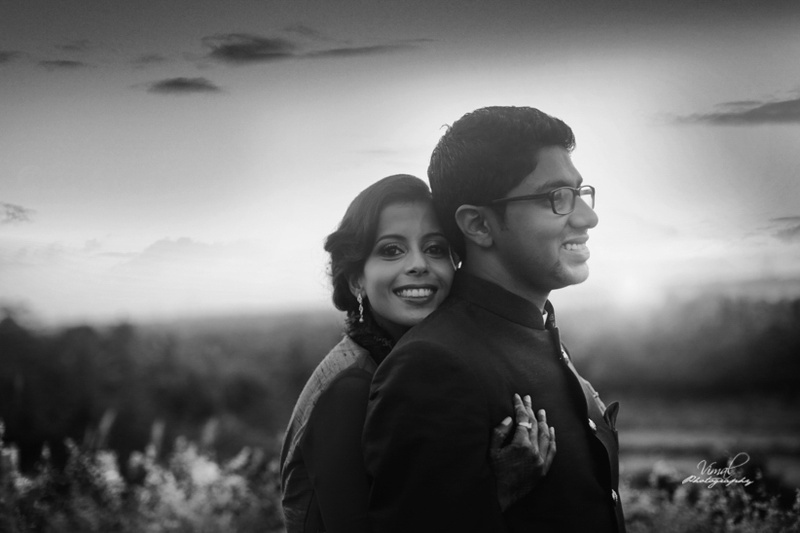 Pre Wedding Couple Photography by Vimal Chandran. 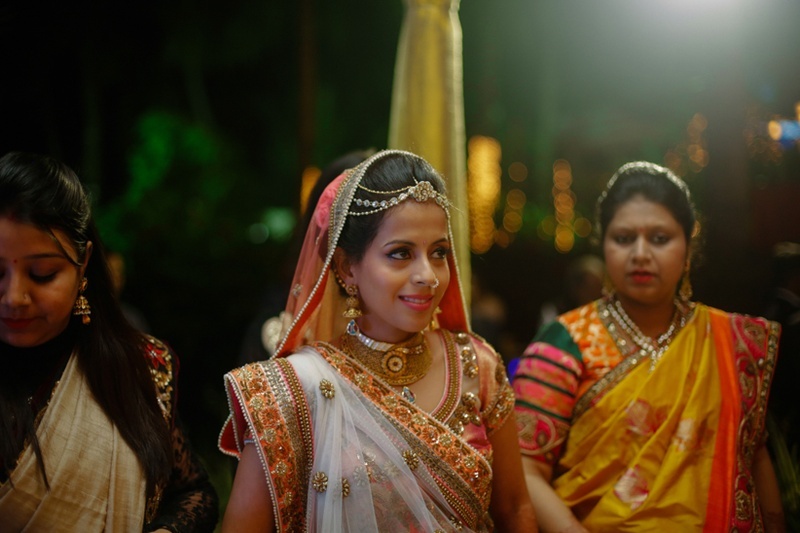 Bride enters the engagement ceremony. 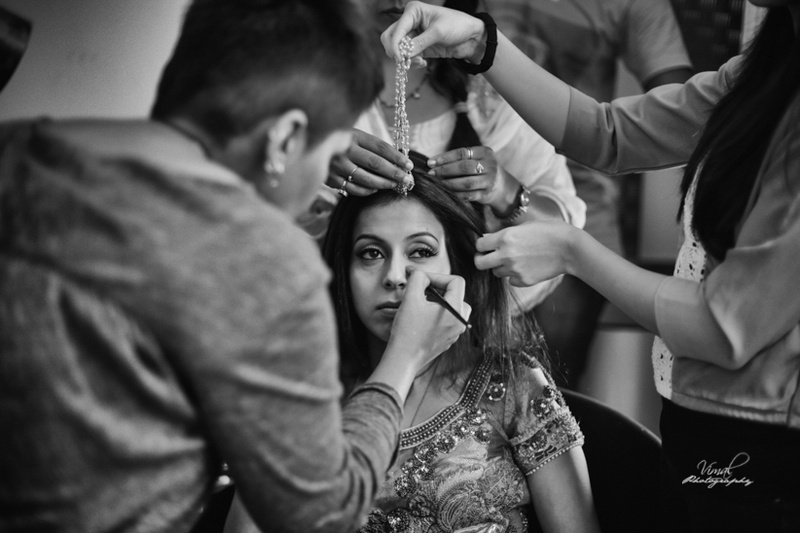 Bride getting ready for the wedding ! 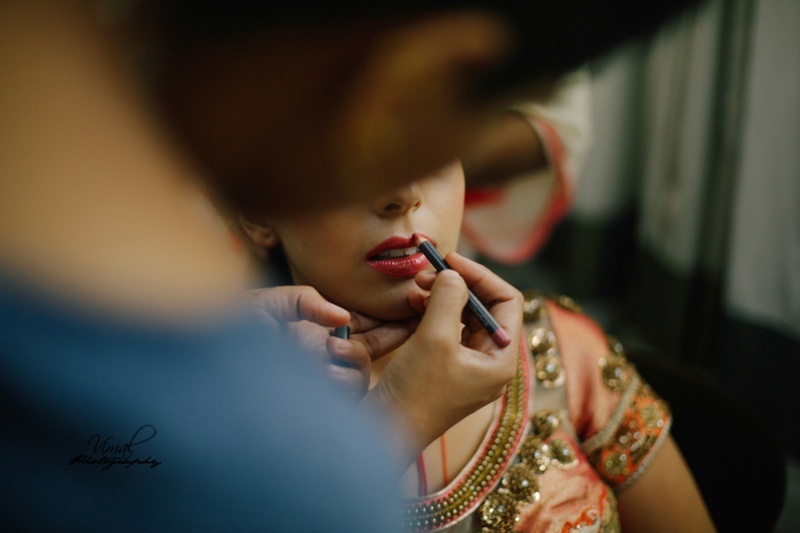 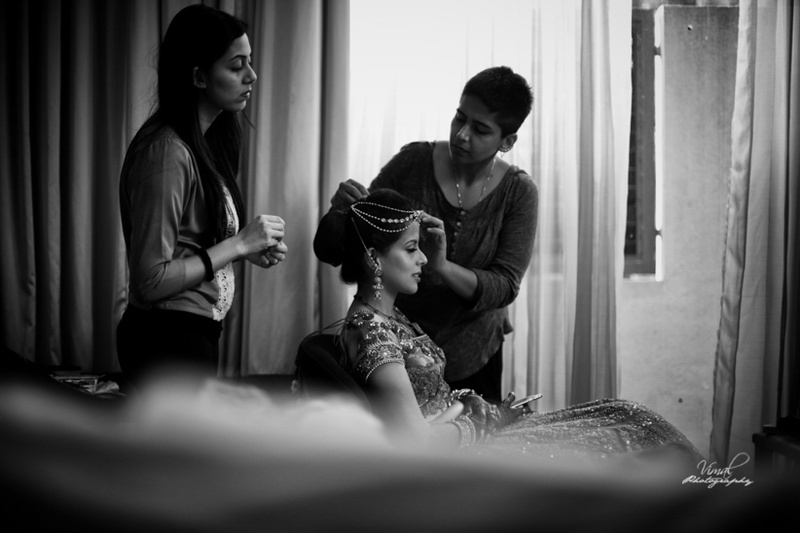 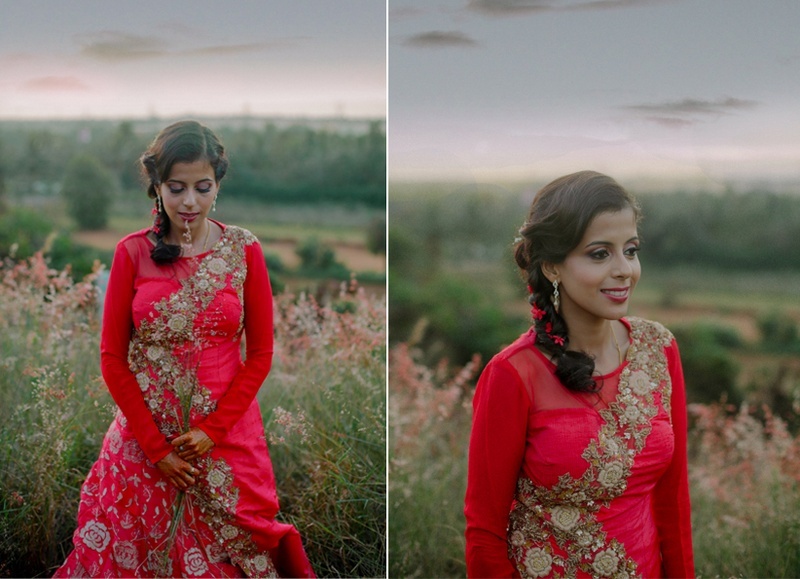 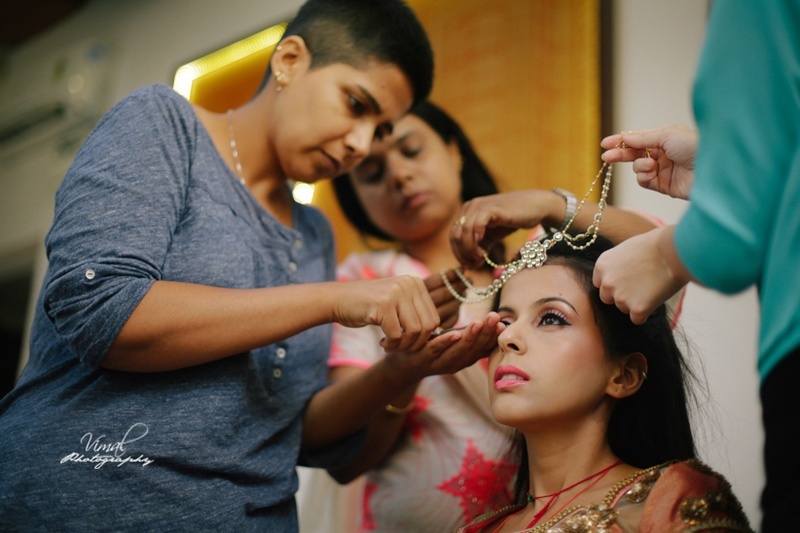 Bridal makeup by Sabrina Suhail, Bangalore. 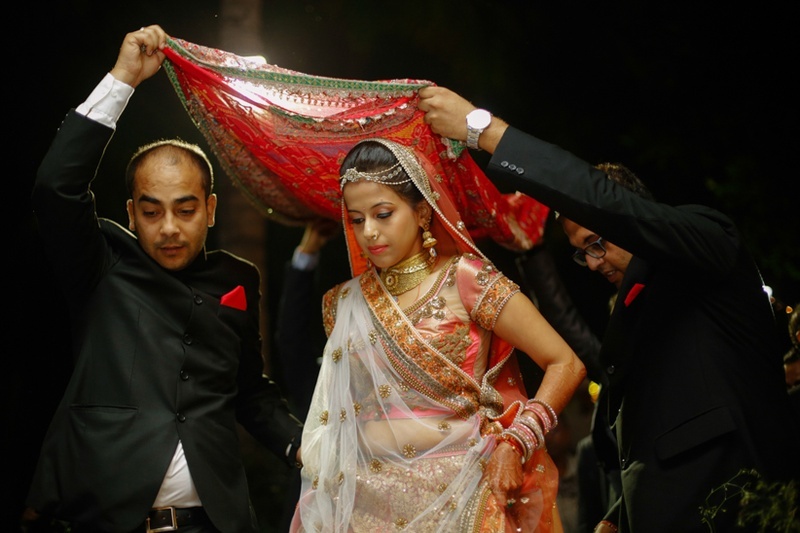 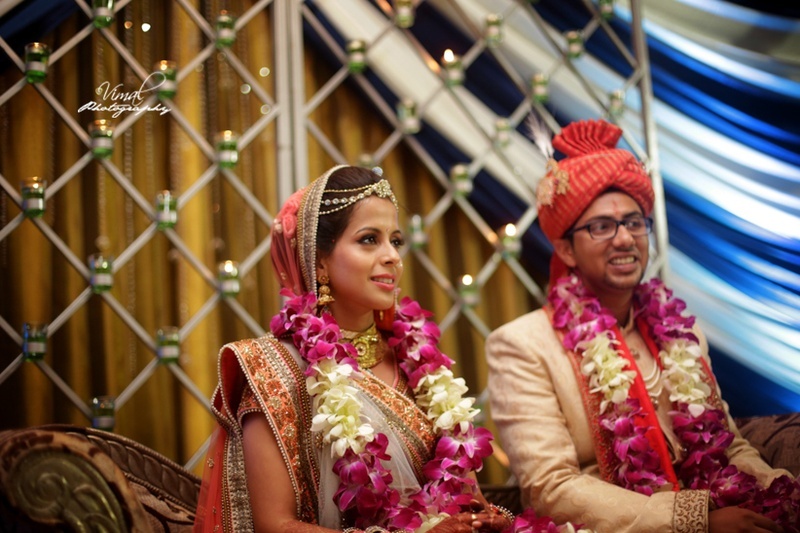 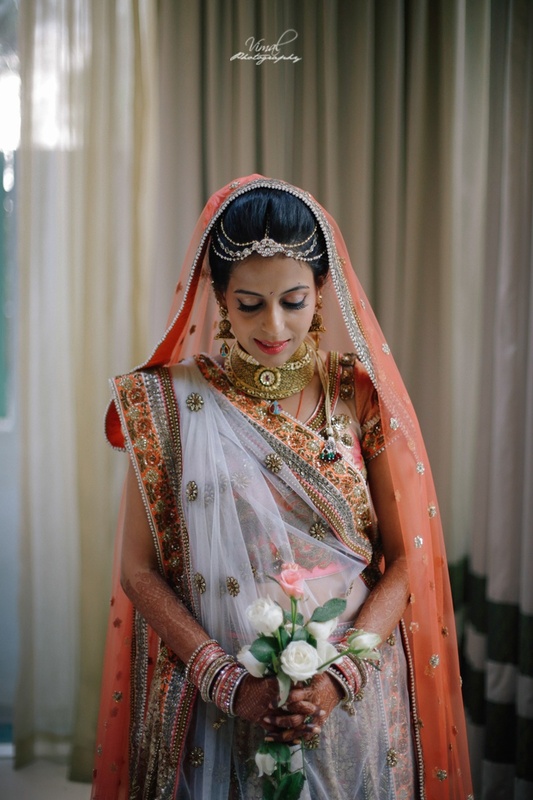 Bride wearing beautiful kundan maang tikka with strings for her wedding. 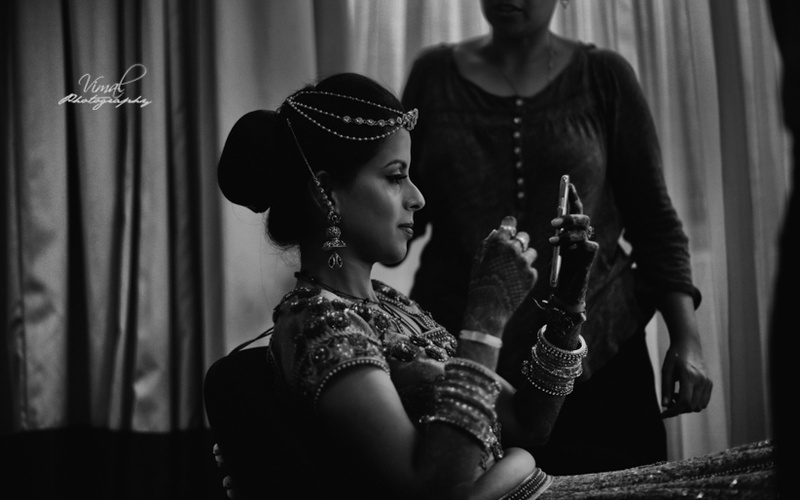 Black and white bridal make up photography. 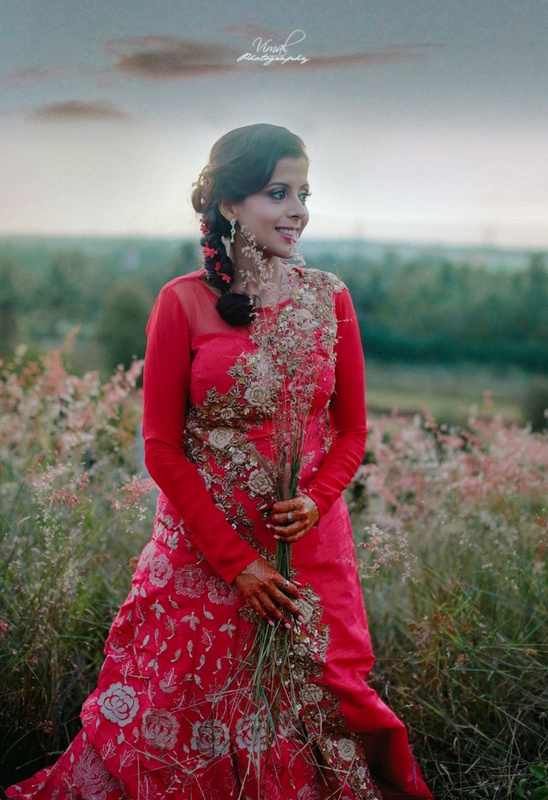 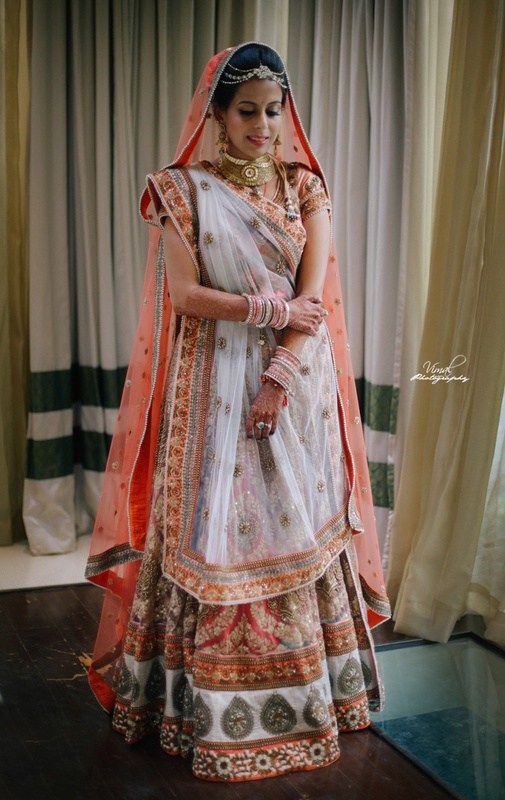 Bride wearing pastel orange and white color bridal lehenga styled elegantly with minimal makeup and jewellery for the wedding day . 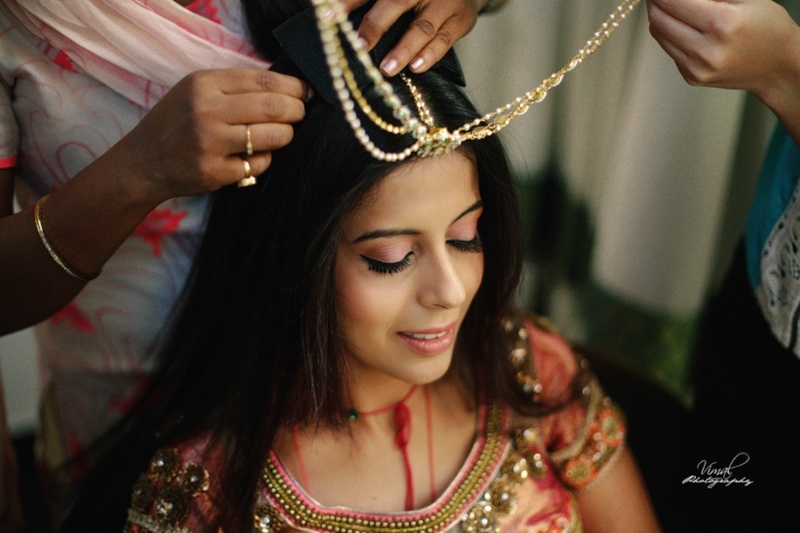 Bride wearing gold choker necklace for the wedding day. 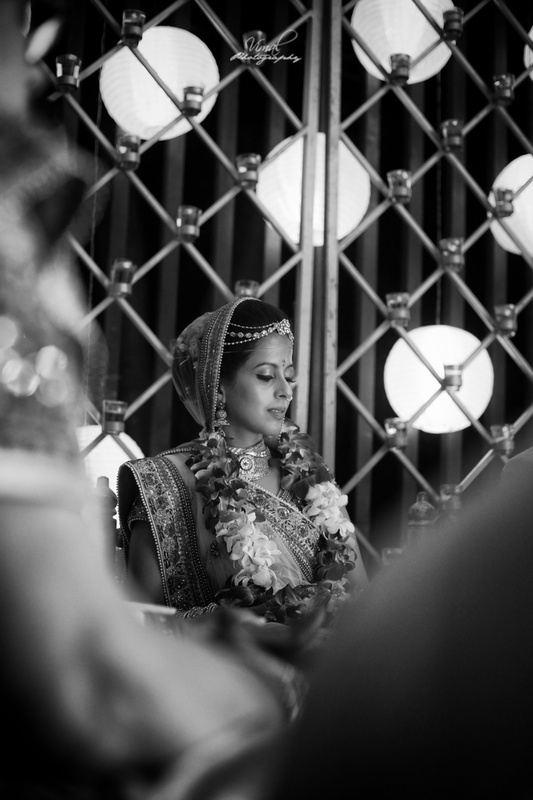 Gorgeous bride Shobhika on her wedding day. 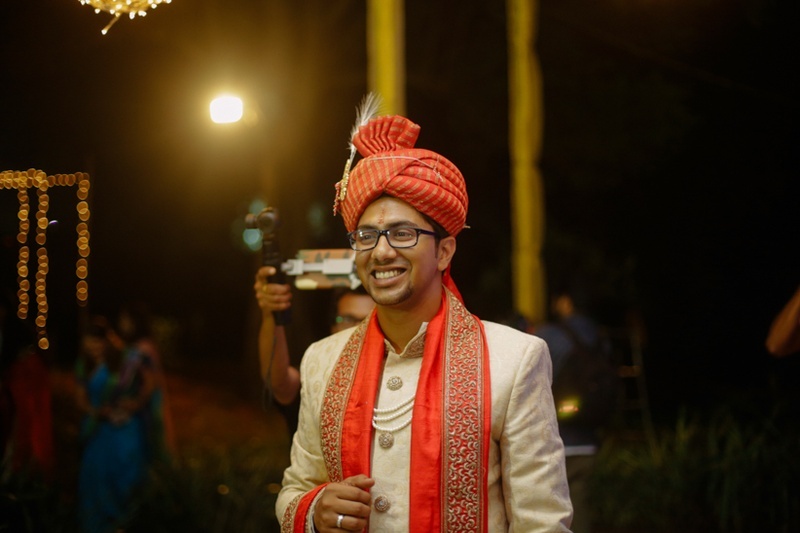 Groom wearing white sherwani with red dupatta and red turban on his wedding held at Elements, Bangalore. 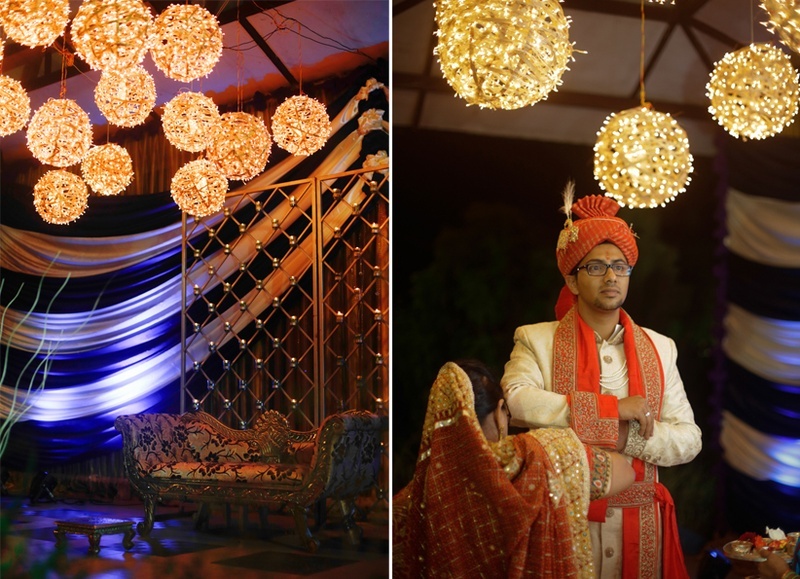 Pretty wedding entrance for the wedding held at Elements, Bangalore. 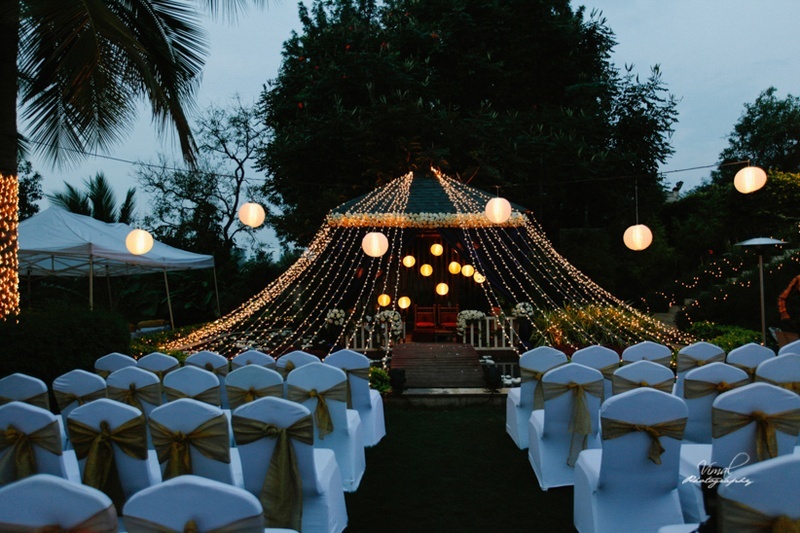 Fairy themed decor with fairy lights covering the stage. 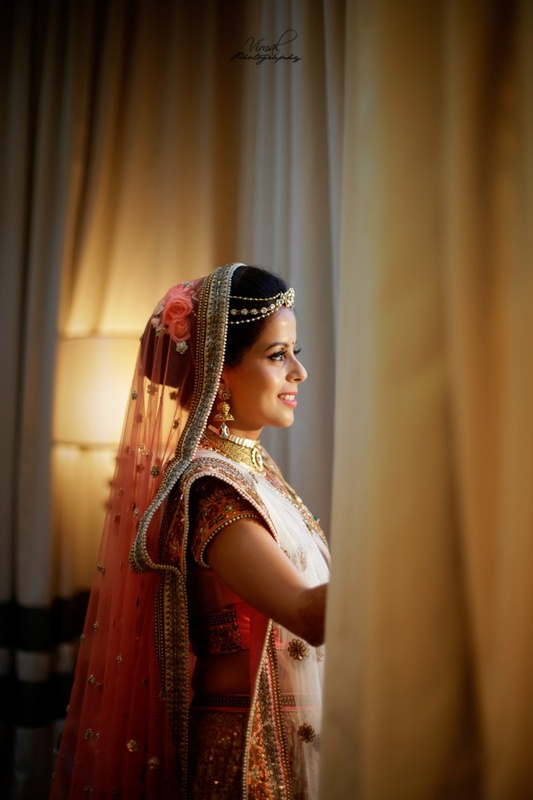 Bride entering for the wedding ceremony. 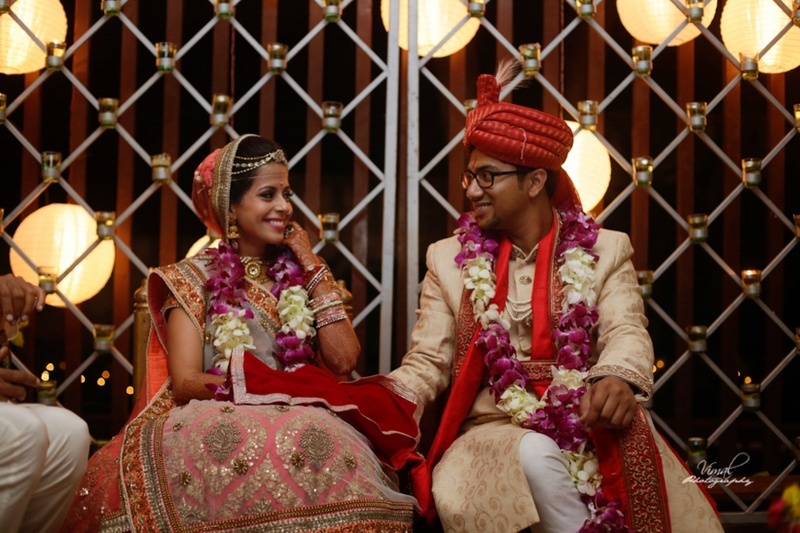 Cute couple just got married! 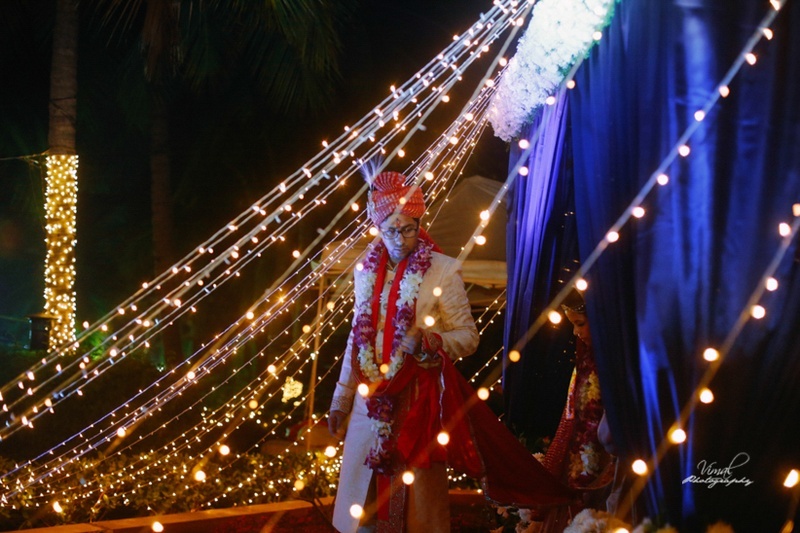 Groom coming out of the mandap.